What does “deep plane facelift” mean? To understand what the deep plane technique is, it is helpful to understand what it is not. It is not the past or traditional approach to facelift surgery, which involved simply pulling the skin tight and suturing the skin in place. Instead, the deep plane technique works within a deeper level of the skin, the Superficial Musculo-Aponeurotic System or SMAS. By focusing on the release and movement of muscle and fat layers underneath the skin and restoring them to a more youthful position, the skin can look natural and not “pulled too tight” or operated on. In addition, the mid-face can effectively be improved during the deep plane technique. Deep plane facelifting techniques can vary from surgeon to surgeon. However, there is no doubt that addressing the SMAS layer in general provides invaluable benefits compared to prior “skin pulling” facelifts. Low risk of pixie ear deformities, loss of definition in front of the ear, and hairline irregularities associated with skin pull facelifts. 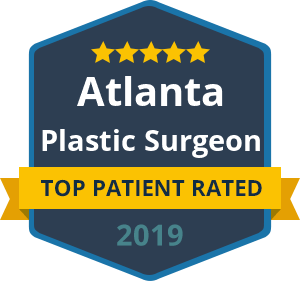 Dr. Ben Talei is a leading facial plastic surgeon and one that carries unsurpassed skill in the deep plane facelift technique. He is one of the few surgeons in the country that uses advanced SMAS lifting combined with midline platysmal tightening techniques. This is a procedure performed through a hidden incision under the chin in order to further tighten the neck and improve results. Call our Beverly Hills office today to get the best the modern plastic surgery has to offer! Your face is worth is.